At Gulfstar, we take pride in being able to lend a hand and give back to our local community wherever we can. In recent months we were proud to donate our time and resources to the Community Learning Center renovations project in Clearwater, FL. The CLC is a non-profit organization that provides affordable tutoring services, free homework help and parenting workshops to the local community. Just last week we were proud to be among some great local businesses who sponsored Clearwater Academy International‘s Hackers Classic Golf Tournament fundraiser. 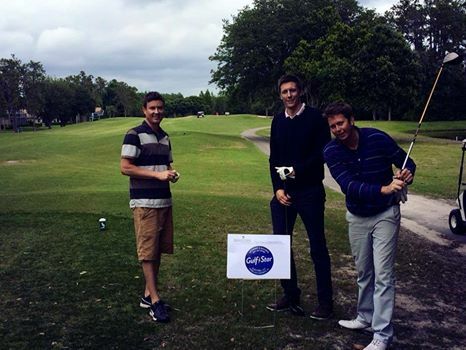 Check out this picture of the “Gulfstud” Electric golf team, taken at our sponsored hole. We hope to be able to do much more “paying it forward” to benefit these kinds of great causes in the coming years. To contact Gulfstar Electric for service or to learn more about what we do, send us an email or give us a call: 727.755.1805. Keep up with Gulfstar Electric. Follow us on Facebook!